Spicer hardly needs an introduction, handed the task of being the first press secretary of the Trump administration. (Remember, he explained, Hitler did not use chemical weapons.) In a world supposedly hostile to facts, he wore his crown proudly and comically, before taking leave. Where, then, would the ire come against this rogues gallery of appointments? There was potentially room for everyone to have a crack. 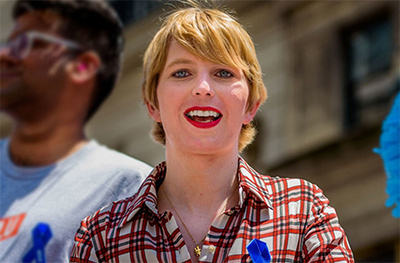 Within hours, it became a shooting gallery with one ultimate target: Chelsea Manning. Apart from the usual blood lusting, chest-beating patriots who adore that fiction known as a country, Manning’s appointment was bound to generate a few frowns. But what should have been mere creases became full blown furrows, with the Central Intelligence Agency taking the noisy lead. Coercive blackmail on the decision makers was first exerted by a former employee of that less than principled organisation. Michael Morell’s letter to Douglas Elmendorf, dean of the Kennedy School, was hectoring, irate. It did not even matter that his own fellowship appointment (because former CIA employees are worth it) was in the Belfer Center, where he would not necessarily be sharing beverages with the crew at the Institute of Politics. Current CIA director Mike Pompeo also lobbed a bomb of indignation at Harvard’s Rolf Mowatt-Larssen after cancelling a scheduled appearance at the John F. Kennedy, Jr. Forum. The rationale was predictable from a person who pretends to see the world in clearly minted, binary terms, where the warriors of light will vanquish those of the dark. By attending the event, he would be sending a large announcement of betrayal to the former, while giving an incentive to the latter. It is worth nothing that, for all the efforts made by the prosecution in the Manning case, the charge of supplying classified information to a foreign enemy failed to convince Judge Denise Lind. To have taken that step would have been tantamount to drawing a wide net over the fourth estate, the security state’s ultimate vengeance. Who, then, should be Fellows, visiting or otherwise? Bill Delahunt, acting director of the IOP, was clear: “We welcome the breath of thought-provoking viewpoints on race, gender, politics and media.” Such enlightenment, such maturity. It was not a point shared by Pompeo: “Harvard’s actions implicitly tell its students that you too can be a fellow at Harvard and a felon under United States law.” This position is hard to entertain in any credible, intellectual sense, especially coming from the director of an organisation trained in the dark arts of destabilisation, interrogation and extra-judicial killings. Morell, of course, was singled out by Pompeo as the exemplar of public service. “You have traded a respected individual who served his country with dignity for one who served it with disgrace and who violated the warrior ethos she promoted to uphold when she voluntarily chose to join the United States Army.” Contradiction be damned. The upshot of this was a whimpering victory for the CIA, a crude one won by the invocations of bullying. The Kennedy School duly rescinded Manning’s title, and did so in the most mealy-mouthed of ways. “We invited Chelsea Manning,” came the statement from dean Elmendorf, “because the Kennedy School’s longstanding approach to visiting speakers is to invite some people who have significantly influenced events in the world even if they do not share our values and even if their actions or words are abhorrent to some members of our community.” Debate was not justification; discussion did not entail approval. The dean then moves into a mode of apology. “Visiting Fellow” could be construed, mistakenly, as “honorific”, a point that should have been considered. A weighing should have also taken place between educating the Kennedy School community and “the extent to which the person’s conduct fulfils the values of public service to which we aspire.” On this basis, inviting Manning “was wrong.” The term “Visiting Fellow” would duly be stripped from Manning, even though the invitation to still spend a day at the School and speak to the forum would stand. This entire charming episode shows, regrettably, how spines go on sudden holiday in the academy when political forces knock at the door. Academics tend to be the first to fold when matters of courage are concerned, and often do so in graceless dissimulating prose. The Kennedy School of Government has not just been made safe for the CIA, but for academic hypocrisy. Indeed, the relationship between politics and the academy and/or scholarship cannot be said to have been an exemplary one throughout human events. Ultimately, it comes down to an individual's sense of integrity and honor: it would be enough to consider a Croce and a Gentile vis a vis a Mussolini, to mention a modern example of two radically different stances.